Released in 1971 by Parker Brothers, Gnip Gnop isn’t one of those games you could play quietly with a friend in the wee hours of the morning while your parents were sleeping – a fact I can attest to from personal experience! The game draws its inspiration from table tennis. In fact, the name Gnip Gnop is “Ping Pong” reversed. A game of Gnip Gnop begins with a set of three ping pong balls (pink or green) per side. The object of the game is simple: use one of your three levers to propel your balls through one of the three holes in the plastic barrier that separates the two sides. The winner is the first player to gnip (or gnop) all six balls to the opponent’s side first. Ads for the two-player tabletop game often referred to it as “slap happy”, arguably a mild understatement given the frenetic nature of play and brute force strategy it induces in participants. 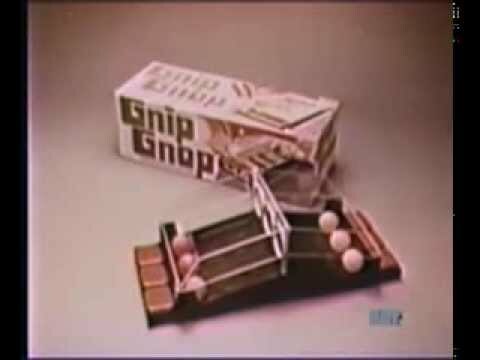 Gnip Gnop was a gaming staple throughout the ‘70s before Parker Brothers discontinued it at the end of the decade. Fundex Games, an Indiana-based game company, eventually acquired the rights to the game, re-releasing it in 2005. 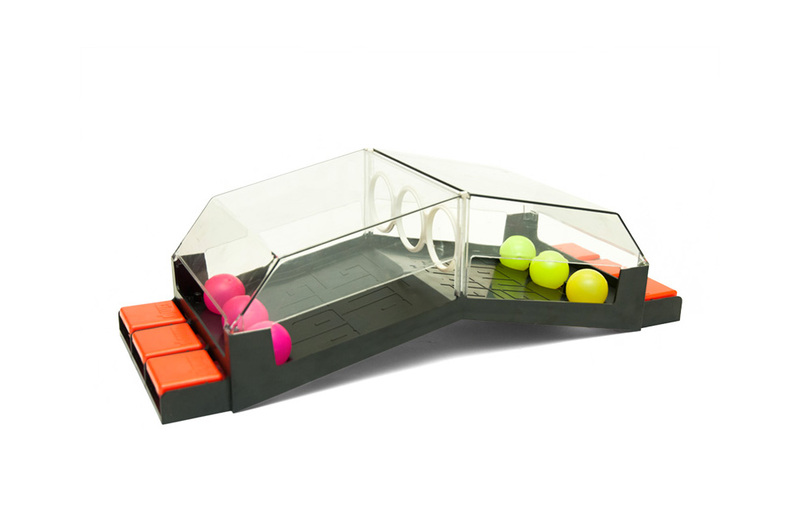 The re-imagined version of the game (complete with yellow and orange ping pong balls) provided “rapid fire fun” for seven years until Fundex filed for bankruptcy in 2012. Released in 1963 by Ideal, and designed by Marvin Glass & Associates, Mouse Trap was one of the first mass-produced, three-dimensional board games. Bubble-based toys were some of Kenner Products' earliest sales successes. One of its most popular offerings, the Bubble-Matic, was a plastic gun (available in red or blue) that shot bubbles with every squeeze of its trigger.